Ash Fuller scored the only goal of the game to send Kempston Rovers through in the FA Cup on Saturday. They beat Oxhey Jets at Hillgrounds, with Fuller’s goal coming in the first minute of the second half. They now host Harefield United in the First Qualifying Round. 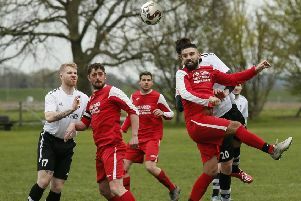 Kempston return to Southern League Division One Central action this weekend, visiting Fleet on Saturday and hosting AFC Dunstable on Bank Holiday Monday.